Long before I became an author, I was, and still am, an avid reader. 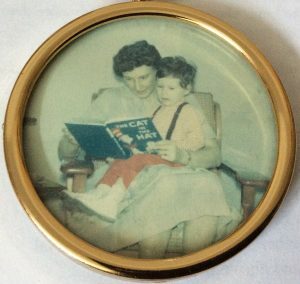 Since early childhood, reading has been a huge part of my life—so much so that I’m always perplexed when asked how I find time to “fit” reading in. How could I not fit it in? Reading is almost as fundamental to me as breathing, eating and sleeping and, especially during life’s darker moments, delving into the pages of a favourite book is my go-to comfort blanket and feel-good remedy. So, at this time of year when the nights are drawing in, and I’m curled up in a comfy chair with a mug of cocoa and good book, here’s to the reading life and some highlights from mine. Is actually a trilogy, the Emily books by Canadian author L.M. Montgomery. 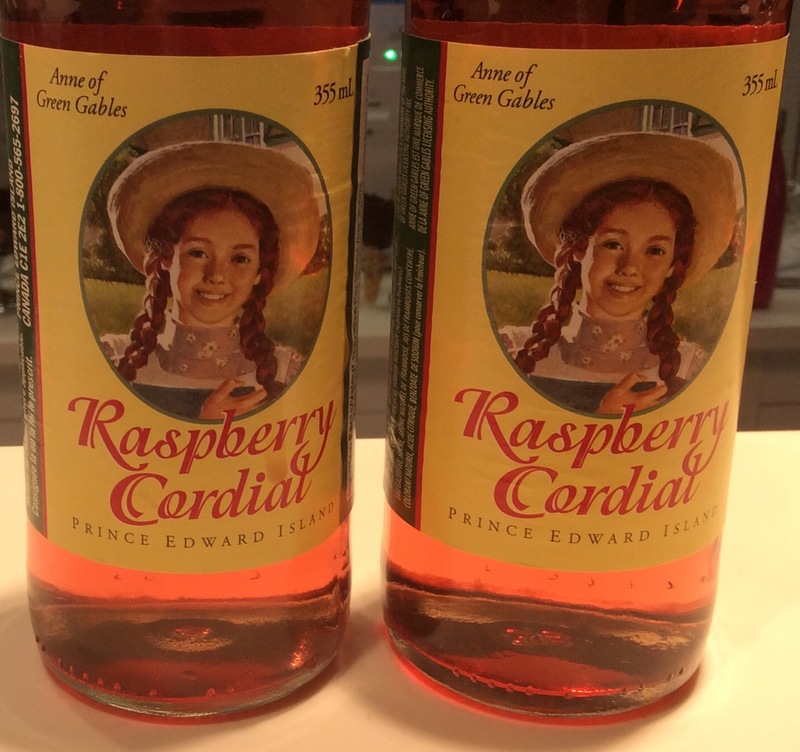 Although less well known than Anne of Green Gables, Emily is a young girl who wants to be a published author, and the series traces her writing journey from childhood to early adulthood. As a child and young adult, I didn’t know any writers. Reading Emily of New Moon, Emily Climbs and Emily’s Quest nurtured my dream of achieving publication—one that never died despite many years and career detours along the way. As a tween, I sobbed over my grandmother’s copy of Louisa May Alcott’s Little Women. Beth March’s illness and death were heartbreaking because I cared about the March family almost as if they were my family. The Tale of Samuel Whiskers, or The Roly-Poly Pudding by Beatrix Potter. 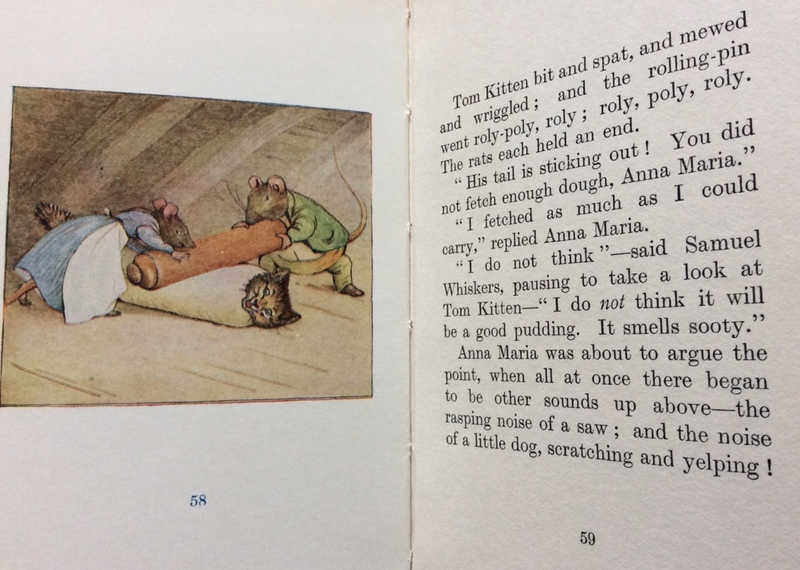 Mischievous Tom Kitten being rolled up in dough by the evil rats, Samuel Whiskers and Anna Maria, gave me nightmares for weeks—and left me with a distaste for that classic British pudding, the jam roly-poly, that persists today. My favourite holiday is one that includes a visit to at least one place associated with a book or author to “see” it through a fictional lens. In England, I lived near Jane Austen’s home at Chawton, while the Georgian heritage in Bath that Austen depicted so beautifully in her novels was only a day trip away. I also travelled to the English Lake District to follow in the steps of Wordsworth and other Romantic poets and, despite the lingering terror of Samuel Whiskers, explore the places that inspired Beatrix Potter’s tales. In the US, I’ve made pilgrimages to sites associated with Laura Ingalls Wilder’s Little House stories (more childhood favourites) and, at home in Canada, have visited L.M. Montgomery’s Prince Edward Island. Although I’ve been happily married for over twenty years, there’s always been something special about book heroes. From Gilbert Blythe to Captain Wentworth, Rhett Butler to Jamie Fraser (and a host of others), fictional men have made me sigh, smile, swoon and (on occasion) seethe because when it comes to the world of the imagination, I’m an unrepentant serial dater. Not only do I fall in love with the hero of each book I write, but as I delve into each new title on my to-be-read list, book boyfriends parade through my life in quick succession. Happily, I’m not alone in my fondness for fictional men. A cursory scan of Goodreads reveals that from “men who define the word love,” to “nice heroes,” and “book boyfriends I wish were real,” readers everywhere create lists of what they like (and don’t) in guys between book covers. So, happy reading, friends, in a comfy chair with a favourite book and beverage of your own! A beautiful journey through your reading life, Jen. I enjoyed every word and image. Thank you, Roslyn. I appreciate you reading and commenting. What an interesting post – I love hearing about people’s favourite books! I haven’t heard of the Emily books, so I’m sorry they passed me by. Thank you, Kate. I’m glad you enjoyed the post. As for the ‘Emily’ books, it’s never too late! I suspect you’d enjoy them as an adult, perhaps even more than you might have in childhood. Love the phrase “I’m an unrepentant serial dater”, Jen! My heroes have always been detectives. I was convinced that I could thaw the frosty Holmes, admired the suave Lord Peter from afar, adored hard-bitten Spenser (who could cook!) and sighed over Lord Lynley. Come to think of it, why are Brit detectives so often of the nobility? Thanks for reading & commenting, Beth. I’m happy to know that the lure of fictional heroes crosses genres! Interesting that there is a class dimension to British detectives. Thank you, Lynn. It’s lovely to picture you enjoying reading my posts & that they leave you with a smile. I’m happy this post resonated with you. Happy reading! We have very similar reading tastes, Jen (why does that not surprise me? )–and I loved Emily, as well. In fact, I wished I was her, for a time. It doesn’t surprise me either, Jennifer. Happy to meet another ‘Emily’ fan. Although I didn’t want to be Emily, I did want to spend time at New Moon! They say readers make the best writers!! Sweet post, Jen! A lovely post, as always, Jen. Thanks for sharing your reading journey through life. Like Kate, I didn’t come across the Emily books, but I still have my Anne books on the shelf. I especially loved the section about your serial dating. I was dreadfully in love with a wonderful book boyfriend when I was 17 and was devastated when he was killed. Our reading lives are hugely important to us and your post is a gentle reminder of this. Hope English Rose is enjoying High School!! It’s wonderful to “see” you here, Anne. Thank you for stopping by and commenting. I’m glad you enjoyed the post and am not surprised we share similar favourite books! Thanks for mentioning English Rose too. So far, she seems to be enjoying high school but it’s still a big transition for her…and me too! Thank you, Jen, for this beautiful journey through literature. I remember the first time I picked up an Anne book and fell in love with Avonlea. I did read the Emily books and have them all in my basement. Really enjoyed your post. You’re most welcome, Tanya. Thank you for reading and commenting. It’s always a joy for me to connect with other Montgomery fans. I still have all my “Anne” and “Emily” books too.